Developed for testing materials that can be affected by petroleum-based penetrants, ZL-4C water-based fluorescent penetrant contains no petroleum derivatives and is harmless to materials that can be attacked by petroleum-based solvents, such as plastics. It is also safe for use on ceramics, and it can be used as a leak detector. It is always recommended that the inspection material is tested for compatibility with ZL-4C prior to use. 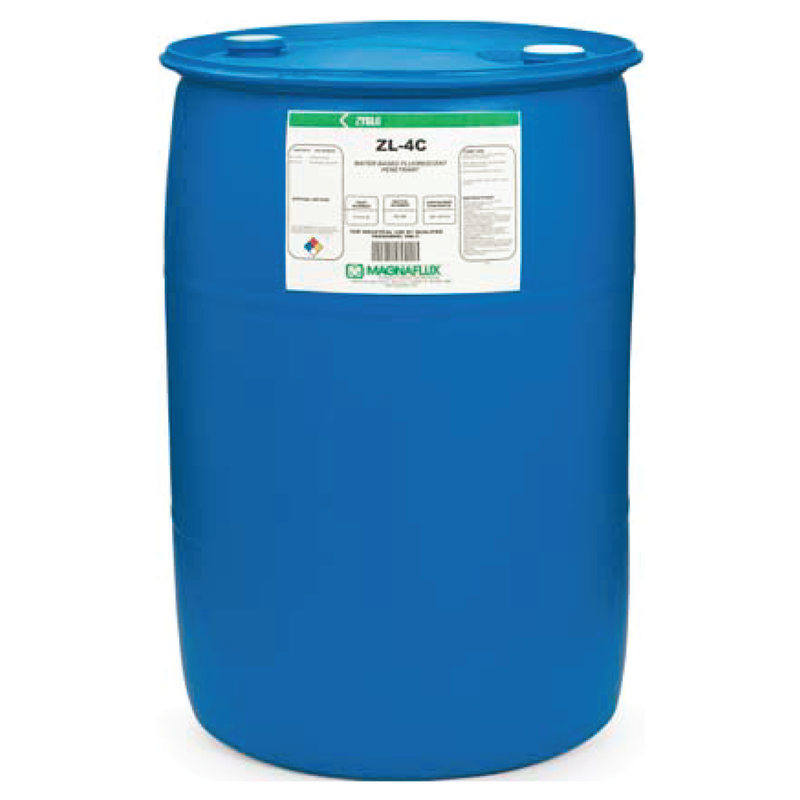 ZL-4C can be diluted with water to decrease its viscosity to enable easier application. ZL-4C does not contain a corrosion inhibitor as the materials it is designed to test are not normally susceptible to corrosion. ZP-4B powder developer is recommended for use with ZL-4C penetrant, because liquid developers may wash penetrant out of open surface flaws in the non-metallic materials being tested.